Before you have another thought about how you may go about building a website for your business, the best first step … the No. 1 thing you need to do before making any plans or decisions … is figuring out what you want it to do. Ask your team, “Why do we want to build a website?” If you’re getting crickets, then you have a serious problem. General Awareness: Are you hoping to simply increase awareness of your company offerings by providing information online, such as product demos, floor plans or photos? eCommerce: Do you intend to sell products through your website? Lead Generation: Is your website mainly expected to help funnel qualified leads to your sales team? Mobile: Are you hoping to drive customers to your physical locations? Business email: Is your site’s domain really just a way to establish a business email address to improve your credibility in online communications? Community building: Is blogging and market interaction an important aspect of the site you envision? Determining how your website fits into your overall business marketing mix and knowing what role it needs to play makes it a heck of a lot easier to make good decisions about things like functionality, navigation, content development and web hosting — all of which can dramatically affect the user experience. 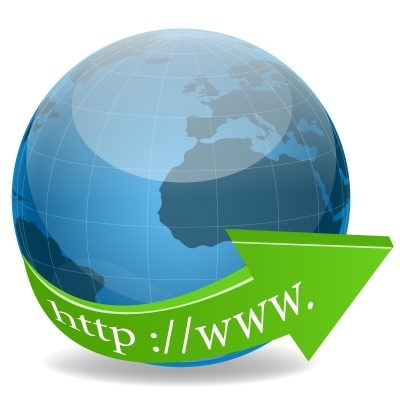 All web hosting solutions will store your website on their servers. Fundamentally, the various options differ on how much storage, traffic capacity and administrative control you get for your site. Essentially two kinds of hosting service exist: shared and dedicated. As the name implies, shared hosting means that your website is part of a community of sites on a server. This tends to be the less expensive route, and most shared servers provide plenty of storage space for the average new business website. Dedicated hosting puts your site on its own server, which eliminates any impact from activity on other sites. Business with high-traffic sites that require lots of storage and minimal risk of downtime pay more for hosting to get this independence.Hostgator is one of the best web hosting companies which offers excellent hosting plans. 11 years down the lane and Hostgator has its clientele sprawled over 100 countries offering a wide range of services. People can save up quite a few bucks by using Hostgator.com coupons. For help sorting out the different options related to web hosting, PC World provides a great explanation of basic terms. Take a look at the terms to get familiar with the types of hosting available. And when you have a firm grasp on your site objectives and know what kind of storage capacity and control you need for your site to be successful, you can evaluate your web hosting options and choose a solution that fits your business needs best. Previous story How Much Should You Pay For A Storage Unit?